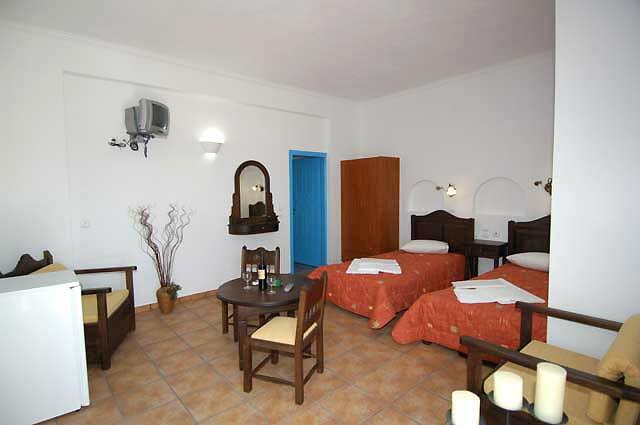 Blue Diamond Bay is a family run hotel in Perissa of Santorini. 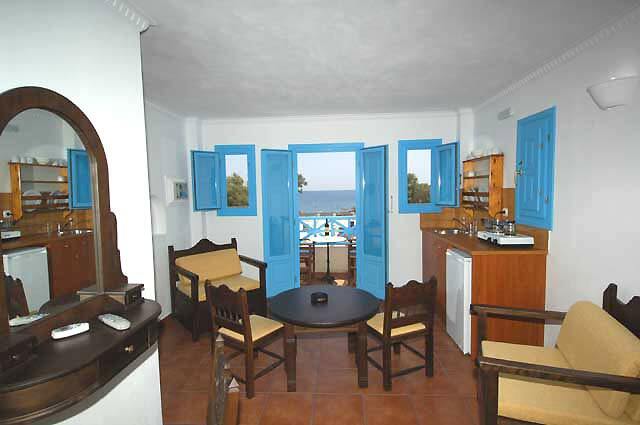 It is situated just a few meters from the black, sandy beach of Perissa. Its privileged location makes it the ideal lodging for short or long term vacations. 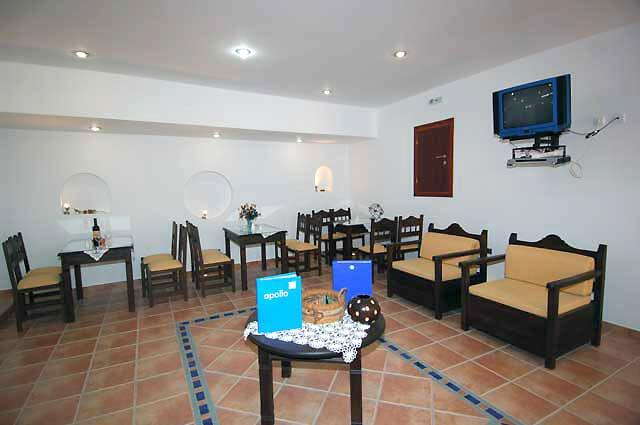 The hotel is build according to the traditional style of Cyclades islands with blue and pale colourings prevailing at all its spaces. 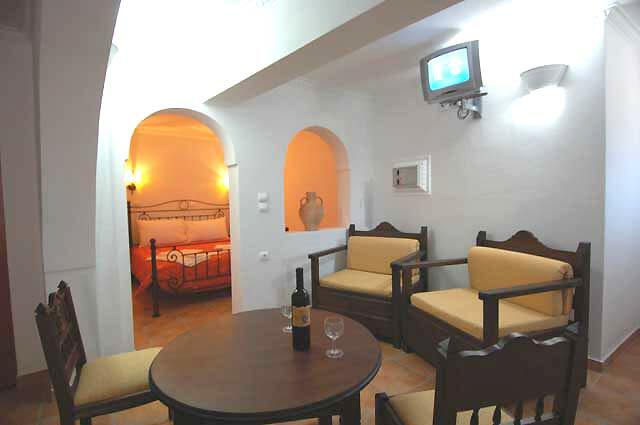 It has spacious and sunny apartments that can accommodate up to four guests. 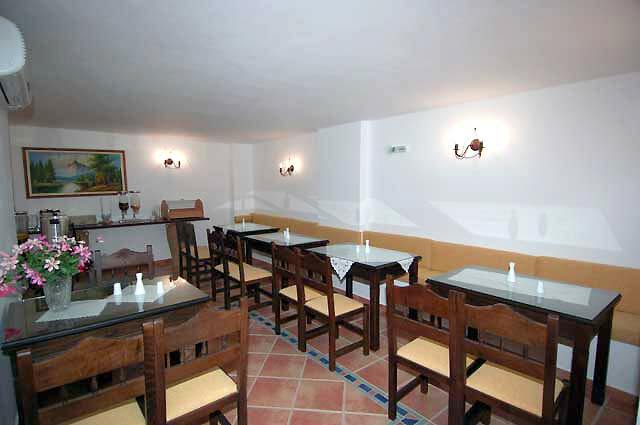 They have traditional furnishing and all the necessary facilities for a pleasant stay. All rooms are equipped with A/C, satellite TV, bathroom and safe deposit boxes. A bottle of wine welcomes all guests at their rooms upon arrival. 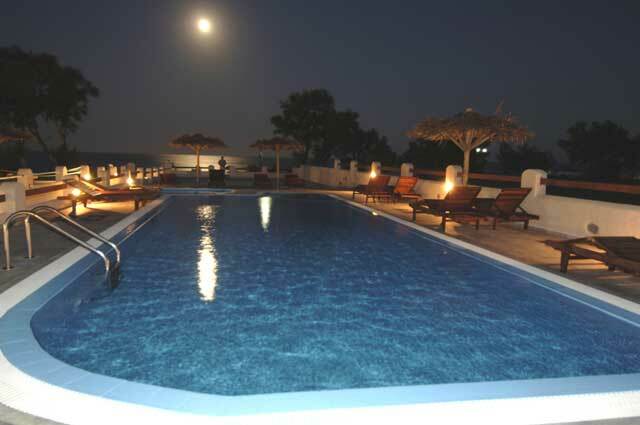 A balcony with breathtaking view to the sea and the swimming pool is available to all rooms. The hotel features a large swimming pool with Jacuzzi as and a kids pool for our little friends. 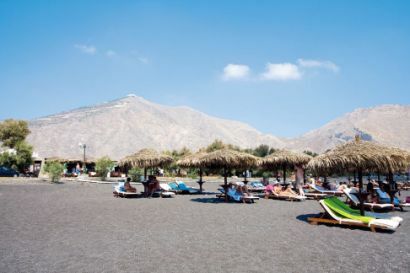 Sun beds and umbrellas are all around the pool creating a relaxing atmosphere. The Blue Diamond Bay offers breakfast at the breakfast area. The pool bar serves drinks and beverages all day long in order to cool you during the hot summer days. This traditional hotel complex offers a tranquil surrounding for your holidays and it is ideal for families with small children, as it gives them the space to feel freely.